Negan, Negan, Negan…When it comes to The Walking Dead, that’s all people seems to be talking about. It’s for good reason, though. There are several lives on the line. However, he’s not the only newcomer everyone should be afraid of. King Ezekiel and his pet Tiger, Shiva are the dynamic duo in charge of The Kingdom. 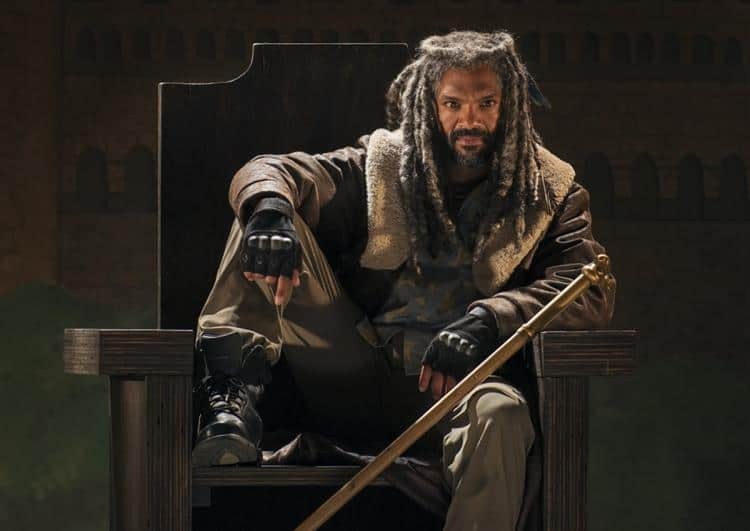 The Walking Dead comic creator Robert Kirkman created the character never thought he’d see King Ezekiel visualized on screen because the character is super out there. I’ll say I’m really excited about Ezekiel and Shiva getting into the show because that’s probably the wildest swing I took in the comics. You know, a guy who has a pet tiger [and] who speaks like some kind of weird medieval king is pretty strange, and I have to be honest, when I was writing the comic, I was like, “Hell yeah, let’s see how we handle this tiger in the show! This is going to be difficult!” So to actually get to this point where we are adapting it into the show and to see the show expand in this way that the comic did in the past is pretty cool. Just in case you were wondering, Shiva is a mix of CGI and animatronics, but it’s so seamless the audience won’t know the difference. Kirkman made sure scenes featuring Shiva looked as authentic as possible. You can’t have a fake tiger because you know that’s not going to work. This is a very real world and if Shiva doesn’t walk on screen, and look like this amazing real tiger that’s existing amongst these characters, it’s going to be more farfetched than it is in and of itself. So you really have to sell it. Season seven of The Walking Dead starts October. 23, right before Halloween. Are you excited for what’s to come? Leave your comments below! Writer, film critic, anime lover. Extremely passionate about movies and equality on the big screen, small screen, and everywhere.